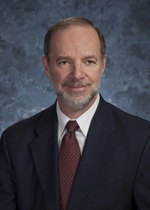 Andrew C. Wormser, M.D. was board certified in 1982 with a specialty in Internal Medicine. His hospital affiliations include Yale-New Haven Hospital and Hospital of Saint Raphael, where he is an attending physician. Dr. Wormser is an Associate Clinical Professor at the Yale University Medical School. He attended the Columbia P & S Medical School. His Internship and Residency were done at the Strong Memorial Hospital. He was on the clinical faculty at Cornell University Medical Center in New York City before arriving in New Haven to enter private practice in 1985. He also is a past President of the Connecticut Society of Internal Medicine. Dr. Wormser is a charter member of Connecticut Medical Group and served on its board for several years. Personal Philosophy: I believe in and try to encourage personal responsibility in healthcare. This includes attention to health maintenance as well as interactive decision making during times of illness. I also believe in the importance of primary care providers to structure capable and efficient use of healthcare resources.